We all know it is illegal to drink and drive but it is extremely easy for even well-intentioned drivers to make mistakes. DUI charges can be very serious and impact your driving record and rights in negative ways that last for years. If you’ve been accused of drunk driving, you need an excellent criminal defense attorney who can help you keep your license and stay out of jail. When you acquire a driver’s license, you automatically give what’s called implied consent. This means you are required to take a field sobriety or breathalyzer test within two hours of being lawfully stopped by a police officer. Refusal of either of these tests results in an automatic license suspension, and very rarely helps your case. We strongly suggest engaging in whatever sobriety test the arresting officer asks you to take, even if you know you haven’t been drinking. 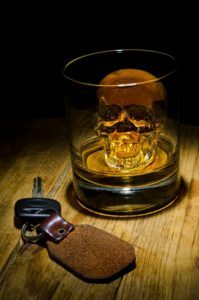 The punishments for a DUI conviction depend on many factors, including your driving record, whether or not you’ve previously been convicted of a DUI, if damage or injury was caused due to your actions, if children are present in the car, and more. A first DUI conviction in Pennsylvania incurs a six-month probation, a $300 fine, drug school attendance and potentially completing rehabilitation treatments. Punishments for subsequent DUIs become very serious with each instance and typically result in license revocations and prison sentences, as well as exorbitant fines. Even if you are innocent, you shouldn’t take any chances when facing DUI accusations. It’s simply not worth it to risk losing your license, paying large fines or serving time in jail. We’ve defended countless DUI clients and are very skilled in challenging these charges. We’ll examine every aspect of your arrest, from the testing methods the arresting officer used to what you were told at the time of the incident. The Law Office of Michael L. Studd represents Pittsburgh residents facing DUI and drunk driving charges. If you’ve recently been charged with a DUI, call our office now at (412) 400-6157 to schedule a free consultation. Mr. Studd kept me informed with every step and made sure I knew why he recommended what he was doing for my case. He is easy to talk with and worked quickly to get a resolution for me. I was extremely happy with the outcome and would recommend him to anyone. Mr. Studd saved me a lot of trouble and money by knowing what to do for me. He listened and got more for me than I thought possible. I would highly recommend him for his competence and efficiency of getting the job done! THANKS!